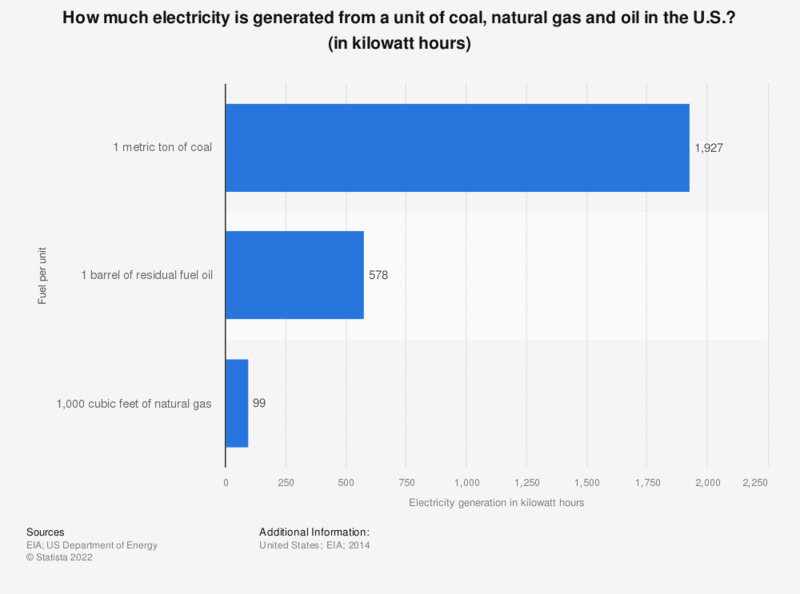 This statistic gives the amount of electricity generated per unit of coal, natural gas and oil used in the United States. Approximately 578 kilowatt hours of electricity are generated from one barrel of residual fuel oil. The source does not provide accurate information regarding the date of survey.